On a clear and sunny day in 1973, an excited teenager took her place among thousands in the new National Stadium's grandstand. She had risked the wrath of her parents, skipping school to watch her ageing idol's swansong at the Southeast Asian Peninsular (Seap) Games. In that moment of juvenile impudence, Singapore's next track star took her first step towards greatness. 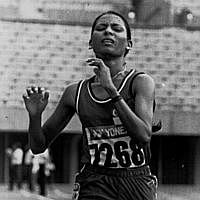 A decade later, K. Jayamani would replicate Glory Barnabas' 200m win in 1973, winning the women's marathon at the 1983 SEA Games. Wanting to be like her idol, said Jayamani, was one of her biggest motivations. Nobody told Jayamani to chase the feats of Barnabas. But nobody had to, because the 1970s was a time when a culture of excellence pervaded Singapore athletics. From 1970 to 1979, track and field yielded 18 golds from five Seap Games. On the continental stage, Singapore harvested one gold, two silvers and four bronzes from three Asian Games. Training at the famed Farrer Park track, alongside C. Kunalan, Chee Swee Lee, Barnabas and Heather Siddons, Jayamani recalled, was like admission into an exclusive club, an insignia to be displayed with pride. But the scintillating 70s were swiftly followed by two decades of mediocrity - only seven Asean golds from 1981 to 2001. It went against conventional wisdom - sports science and better facilities should have taken the sport to the next level. After all, "sports science" for Barnabas in the 1960s was vitamins from her coach, the late Tan Eng Yoon. For Jayamani, it was ginseng chicken prepared by coach Maurice Nicholas' wife. Their "spikes" were running shoes with nails hammered in by a cobbler at Selegie Road - long nails for grass tracks, short nails for rubber. Now, athletes have an army of biomechanists, psychologists, nutritionists, while talks are held regularly by the Singapore Sports Institute. Barnabas, a physical education teacher, and Jayamani, a fitness instructor at several schools, believe one big factor is that youngsters have too many distractions these days. Few, they mused, would choose a monastic life with only the scent of synthetic rubber for company. Furthermore, as society progressed, parents rather preferred their children chase paper qualifications than personal bests. In 1990, the Singapore Amateur Athletics Association even sent senior official Lim Jit Imm to investigate the high dropout rate of schools champions, but it proved a fruitless exercise. A look at the Schools National Track and Field Championships' B Division, hotly contested by secondary schools nationwide, tells its own story. Of the 38 B Division records, only 12 were set before the millennium, suggesting a steady influx of talent. But, at the national level, half of the 50 records were set before 2000. James Wong, who won the first of his 10 SEA Games golds at 24, said athletes need time to toughen up and "develop that steel" in them. The discus kingpin added: "It takes years to develop their psyche, become fearless and make winning and breaking records a habit." Other problems the veterans cite include the lack of a strong inter-club environment and the closure of the Singapore Business Houses Leagues, which had encouraged companies to be flexible with their athletes-employees. As this year's SEA Games high jump medal prospect Michelle Sng lamented, at the end of the day the bills need to be paid. Sng, in fact, hung up her spikes in 2010 to focus on her teaching career. After all, leaping high was not pegged to her performance bonus. But the 28-year-old made a decision to come back in 2013, and appears to be on the way up. Last month, she bettered her 2006 national mark of 1.8m with a 1.84m effort at the Philippines Open. Yet, despite the drying up of medals and talent, there is hope. With renewed investment in sports by the Government, such as a $40 million war chest set aside to fund the ambitions of elite athletes and the possible knock-on effects of a home SEA Games, the veterans are hopeful that Singapore athletics can mirror Sng's trajectory. Encouraging performances from youngsters back their belief. Shanti Pereira, 18, set three national records in the last 12 months, while Zubin Muncherji, also 18, broke Godfrey Jalleh's 40-year 400m record last June. Yesterday, 19-year-old Eugenia Tan shattered Yu Long Nyu's 22-year national women's long jump record. Dipna Lim-Prasad, who lowered her national 400m hurdles mark in March, sprinter Calvin Kang and marathoners Soh Rui Yong and Mok Ying Ren have also served notice of their potential. Aside from Mok, who is recovering from injury, all will join Sng in next month's SEA Games. Said Jayamani: "It's not that we've stopped producing talented athletes. The challenge, with all the funding and facilities we have now, is to make sure we can keep them in the sport and give them everything they need to succeed." Next month, Sng will be making her SEA Games debut in the new National Stadium. The hope is that somewhere in that crowd there will be another teenager waiting to be inspired. Sports Editor Marc Lim on why we cannot truly appreciate the present without acknowledging the deeds of the past here. Trace the rise and fall of Singapore athletics through the decades here. In 1962, Glory Barnabas was a trainee teacher at the Teachers Training College (TTC). It was short of one runner to form a 4x100m team for an inter-college meet. Barnabas, whose prior experience was running for her primary and secondary schools, gamely agreed to be a last-minute stand-in. Tasked to run the anchor leg, she was second when handed the baton. But her raw talent shone through and TTC finished comfortable winners. Her astonishing feat was spotted by the late athletics coach Tan Eng Yoon, and Barnabas was recruited into the national set-up. The rest, as they say, is history, as she won medals at the Southeast Asia Peninsular (SEAP) Games and Asian Games. The 1973 SEAP Games on home soil was her final meet at the top level. But the physical education teacher never stopped running and continues to participate in veteran meets. A five-time SEA Games gold medallist, K. Jayamani enjoyed an illustrious career on the track. But she has one regret. 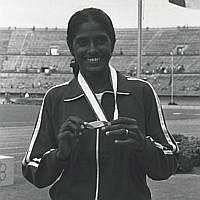 In 1980, Jayamani, then 25, was told that she would be representing Singapore in the 3,000m event at the Moscow Olympics. But her dreams were dashed when Singapore joined the United States-led boycott of the Olympics, a move to protest the Soviet invasion of Afghanistan. She said: "I don't have many regrets in life but that was one of them. The Olympics are the pinnacle of sport. It was the only major meet that I missed out on." 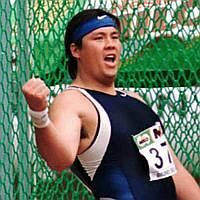 Few exerted as much dominance in one event as Wong, who won the SEA Games discus gold nine times, including seven straight from 1993 to 2005. His golden streak began on home soil in 1993. But just two years earlier, he almost fell out of the sport. A favourite in 1991, he failed to land a medal and entered what he called a "dark place". "I kept asking myself why did I fail, and what I was doing wrong," recalled the 1.9m-tall Wong. Five months before the '93 Games, sponsors gave him an ultimatum: win a medal or find other ways to pay for his education in the United States. He responded the only way he knew how to. He said: "I didn't change the way I train but, whenever I competed, I threw like there was no tomorrow. "I became fearless because everything was on the line." A brief retirement hardly affected him as he came back in 2009 to win two more discus golds. In their quest for records and perfection, athletes can be fiercely competitive. That was evident with high jumper Michelle Sng from a young age - even if it sometimes led to hilarious outcomes. When she was three, she was part of a dance group tasked to perform at an event. Alas, one of her fellow toddlers had forgotten the moves and was messing up the routine. In a fit of anger, Sng stomped off the stage and left the audience in stitches. This rage for perfection also made Sng, who was a promising school netball player, give up the sport. She said: "I got upset whenever I felt that some of my team-mates were not pulling their weight during games. "When the ball was going out, I'd be screaming 'dive for it!'" But this allowed the 1.72m-tall athlete to zero in on high jump, an individual event, which gave her a kick because it felt like she was "defying gravity".